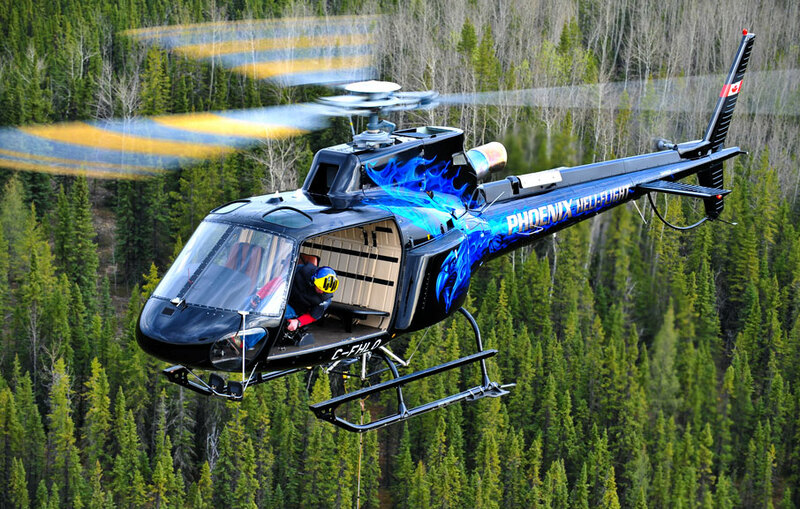 Phoenix Heli-Flight of Fort McMurray, Alberta, Canada is continuing to raise the level of safety within the Canadian helicopter community by upgrading older analog audio, video and flight data recording devices with the next generation Outerlink IRIS system. Paul Spring, President of Phoenix Heli-Flight has been a major proponent of safety and an early installer for previous generations of Appareo and the Outerlink Voice & Video Recorder. After years of benefiting from the safety technology, he has committed to replacing those items with the fully integrated IRIS system, providing digital voice, video and flight data recording with the added benefit of dual satcom network connectivity and next generation Push-To-Talk (PTT) VoIP technology. In addition to updating its fleet of helicopters, Phoenix Heli-Flight will also be working with Outerlink and Maxcraft Avionics to develop Transport Canada and US FAA Supplemental Type Certificates (STC) for the EC130T2, EC120, and both the analog and VEMD-equipped AS350 B2 airframes. The IRIS system is currently certified for the EC135 by the FAA and Transport Canada, and holds FAA certifications for the S-92, AW139, EC145, AS350, B206 and B407. Installing IRIS means that Phoenix will always have connectivity with their aircraft. If an aircraft travels out of range, the IRIS system automatically switches over to the Iridium network then back to the lower cost broadband network when in range. Outerlink’s geostationary satellite coverage has blanketed Phoenix’s area of operation for the past ten years and with the new, significantly more powerful Ligado satellite, even greater coverage is expected, along with increased bandwidth. The IRIS system provides digital 1080p true video recording at 30 frames per second along with five individual audio channels, including one for a high frequency qualified Area Microphone. The IRIS Dialer provides the audio and video recorder while adding Push-To-Talk (PTT) satellite radio and a ten-digit standard sat phone dialer. IRIS PTT allows Phoenix to “group” their operational aircraft into geographic regions and provide its HERO 1 Air Medical helicopter with a fully independent PTT communication “channel” with the ability to send live EKG and patient data over the satellite network. The analog and digital inputs to the IRIS Processor allow for the capture of detailed engine data on the analog aircraft and the internal Attitude Heading And Reference Systems (AHARS) provides all aircraft geospatial information. The analog inputs also allow for customers to capture and synchronize external hook data with all other aircraft data. Customers will have the ability to monitor activity and load data to capture important billing points without delay or the higher cost Iridium data. IRIS software is included with the system to make the most sense of the data that is collected. Customers can synchronize their audio, video and flight data in one user friendly display with the capability of adding a 3D simulation over Google Earth. The ability to create customer-defined data monitoring and create maintenance and operational responses to events lets the customer focus solely on the primary task. The IP-based digital design of the IRIS system allows customers to easily integrate all aircraft systems during flight and provides a core design that adapts to ever-changing satellite capabilities without having to change the aircraft components. IRIS provides the tools needed to run a safer, more efficient fleet. For more information, visit Outerlink on the Metro Aviation booth at HELI-EXPO in Las Vegas, Booth N2207.